The military is making it easier than ever for soldiers to distance themselves from the consequences of war. When drone warfare emerged, pilots could, for the first time, sit in an office in the U.S. and drop bombs in the Middle East. Now, one pilot can do it all, just using their mind — no hands required. 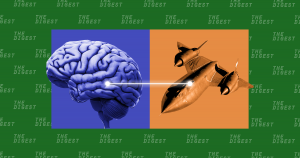 Earlier this month, DARPA, the military’s research division, unveiled a project that it had been working on since 2015: technology that grants one person the ability to pilot multiple planes and drones with their mind. Sanchez may have unveiled this research effort at a “Trajectory of Neurotechnology” session at DARPA’s 60th anniversary event, but his team has been making steady progress for years. Back in 2016, a volunteer equipped with a brain-computer interface (BCI) was able to pilot an aircraft in a flight simulator while keeping two other planes in formation — all using just his thoughts, a spokesperson from DARPA’s Biological Technologies Office told Futurism. In 2017, Copeland was able to steer a plane through another simulation, this time receiving haptic feedback — if the plane needed to be steered in a certain direction, Copeland’s neural implant would create a tingling sensation in his hands. There’s a catch. The DARPA spokesperson told Futurism that because this BCI makes use of electrodes implanted in and on the brain’s sensory and motor cortices, experimentation has been limited to volunteers with varying degrees of paralysis. That is: the people steering these simulated planes already had brain electrodes, or at least already had reason to undergo surgery. To try and figure out how to make this technology more accessible and not require surgical placement of a metal probe into people’s brains, DARPA recently launched the NExt-Generation Nonsurgical Neurotechnology (N3) program. The plan is to make a device with similar capabilities, but it’ll look more like an EEG cap that the pilot can take off once a mission is done.